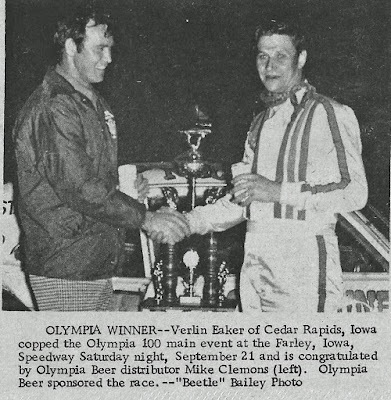 Farley, Iowa (September 21, 1974) – Verlin Eaker of Cedar Rapids, Iowa, had a weekend to remember at Farley Speedway. Events leading up to and including the Olympia 100 brought Verlin $3,200 within a 25-hour period. Activities on the fast-half-mile track began Friday night with timing of 68 late model entries. 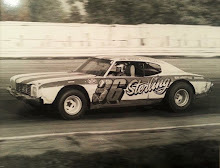 Bill Zwanziger of Waterloo, Iowa, turned the track in 23.82 seconds, giving him the pole position for the 100-lap feature on Saturday. Curt Hansen of Dike, Iowa, timed in at 23.88 seconds putting him on the front row with Zwanziger. Little did anyone suspect, at the time, that neither driver would finish the main event. Sam Reakes of Rockford, Ill., would win the trophy dash as he edged out Karl Sanger of Waterloo, Iowa. Bob Hesse of Waterloo, Iowa, Tom Hughes of Monticello, Iowa, Joe Schaefer of Waterloo, Iowa and George Barton of Ankeny would secure heat wins on Friday night. Wind and chilly temperatures didn’t keep the true race fans from coming to cheer on their favorite race car drivers on Saturday night. 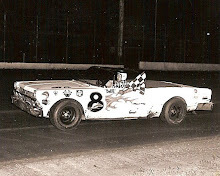 Veteran driver Tom Hughes of Monticello, Iowa, and Gary Crawford of Independence, Iowa, would claim consolation victories to start Saturday’s program. When the green dropped on the Olympia 100, it was Curt Hansen taking the lead with Bill Zwanziger falling back into second. 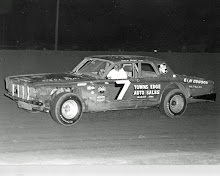 Ed Sanger of Waterloo, Iowa, Eaker, and Darrell Dake of Cedar Rapids, Iowa, were bumper to bumper with the two lead cars during the early laps. It was here that Eaker would make his move. On lap 16, Zwanziger’s engine would go up in a puff of smoke allowing Eaker to move into second behind the fast running Hansen. At the quarter mark of the race, the track surface was becoming slick and hard, making passing almost impossible. 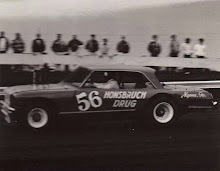 On lap 30, a lapped car would force Hansen out of the groove and to the top of the track, allowing Eaker to slide by for the lead. Being the quality driver he is, Verlin would take it from there, never looking back as he led the remaining 70 circuits to claim the $2,500 top prize. 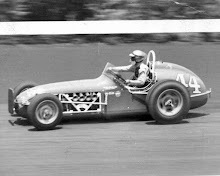 Ed Sanger would take runner-up honors after running a smooth and steady race. Darrell Dake would claim third place, Ken Walton of Cedar Rapids in fourth and Karl Sanger of Waterloo would round out the top five. 9. Sam Reakes, Rockford, Ill.